Experience this gorgeous Rotorua gem for yourself and make your mid-year escape a luxurious one! 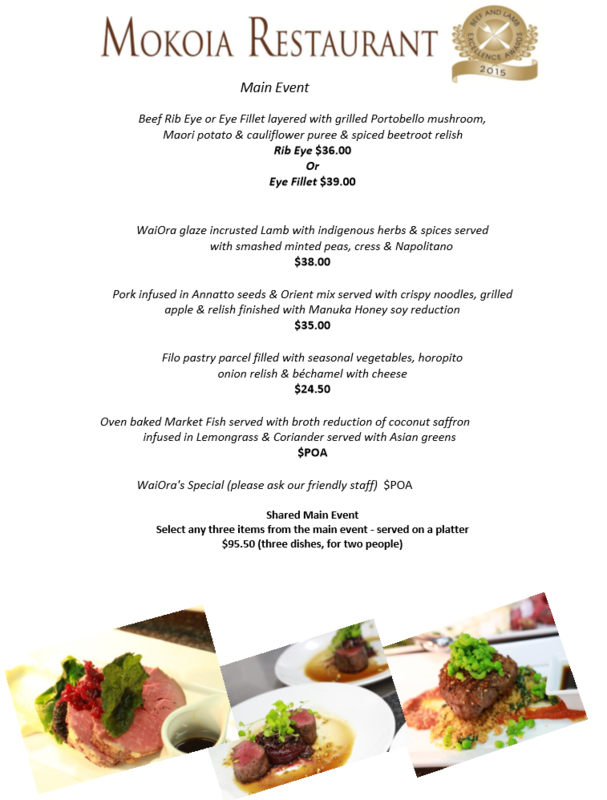 While you're there, check out the award-winning Mokoia Restaurant where you can tempt your taste buds to Pacific Rim cuisine using local indigenous herbs and spices, or try the Manary English Bar! While you're in the area, why not try a thrilling ZORB experience too? Check out ZORB's deal on site today! Unplug and unwind at Wai Ora. An unmissable escape is awaiting you! Some weeks have limited availability - enquire before purchasing! Nothing warms the cockles of your heart like a touch of luxury - so don’t miss out on this unmissable escape! The contemporary Deluxe Studio rooms are located on the ground floor and all open on to the swimming pool area. They include a covered and paved courtyard with seating so you can soak up the sunset over Lake Rotorua during your stay. See all the features of your comfortable room under the Deluxe Studio Room tab above. The Wai Ora spa and water facilities are a must-visit during your stay. Wai Ora literally translates as "Healing Waters" in Maori, underpinning the importance Maori place on water and Rotorua’s geothermal hot pools. At the resort you can enjoy use of the jacuzzi pools and a solar heated pool with a backdrop of a clear spring-fed, fast flowing trout stream - bliss! Check out the on site day spa offering massages, manicures, pedicures, Alite spa products and the refreshments (additional costs apply). 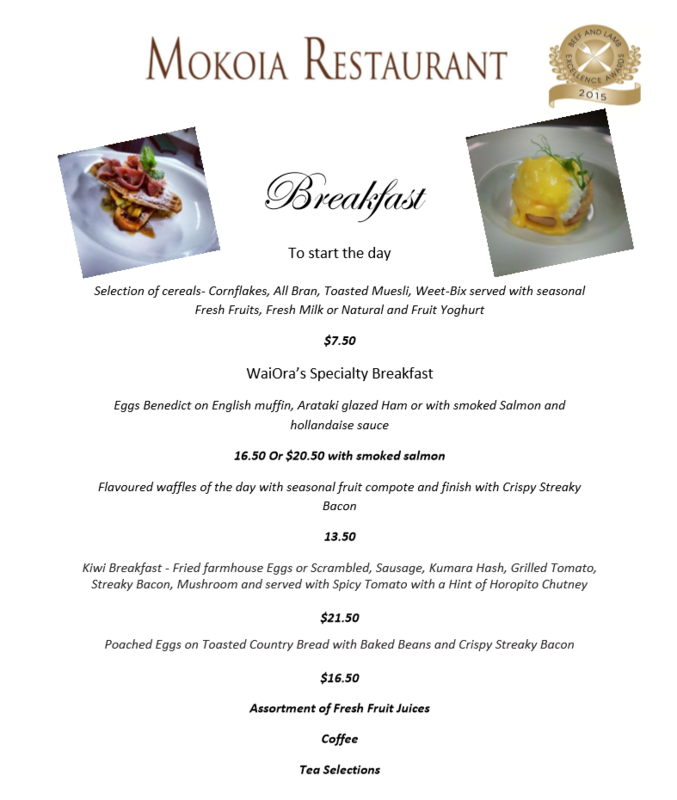 Explore Rotorua local spots, or stay in at Wai Ora's Mokoia Restaurant! Have a fine dining experience at the beautiful on-site restaurant. With a carefully planned menu, attentive staff, experienced chefs, indigenous herbs and spices and the beautiful lakefront vistas - it’s a meal to remember. Mokoia Restaurant holds the prestigious New Zealand Beef & Lamb award for 2010, 2011, 2012, 2014 and 2015 and the People’s Choice award for 2013. Mokoioa offers a wide range of menu options including vegetarian and gluten free. 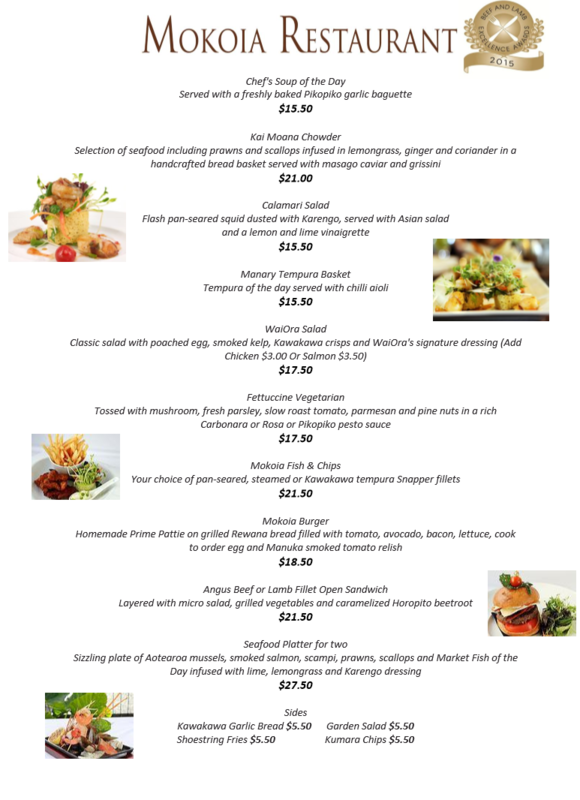 Daily menu options include breakfast, lunch and dinner (not included, additional costs apply). Don’t let this one slip away - make the most of the chilly season with a picturesque getaway to Rotorua. Nab your voucher today!